Visit the CLAT official website to register for the CLAT 2019 examination Application Form, which will be available from 1st January 2019 and the last date of submitting the form is 31st March 2019. The Application Form for CLAT 2019 examination is available Online for all the courses. 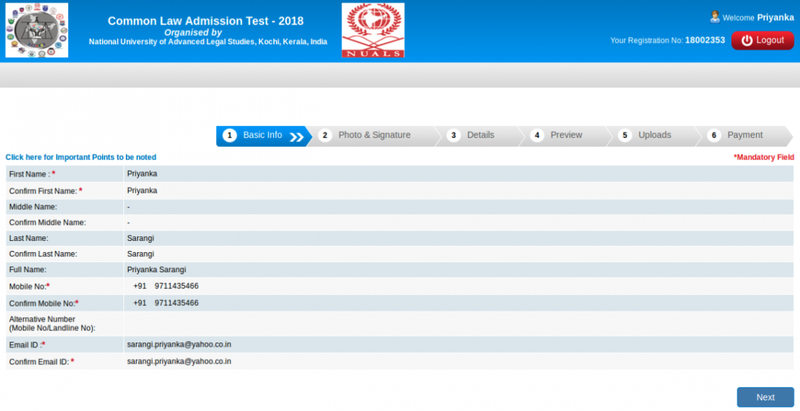 Process: Candidates willing to apply for CLAT 2019 examination has to register on the CAPS website, by clicking on"Apply Online" option. The candidate has to click on "Register Yourself" and fill his / her name as it appears on the ID Proof. Details such as parent's names and date of birth which have to be filled carefully. Note: It should be noted that Name of the Candidate, Date of birth, Father’s Name, Mother’s Name, Email Address and Mobile Number (10 digits) can’t be changed at the later stage. Hence all information must be carefully filled and confirmed before submission. Email ID: The E-mail address should be a valid one and it should be checked frequently as all communication from CLAT 2019 will be done through the provided Email address. Personal Email ID: Other person’s Email address should not be used and one should note that one Email ID can be used only once. Valid mobile number: The Mobile number used in the registration process should be a valid one as CLAT office may use that number for communicating information. Credentials: After the completion of successful registration, an Email containing CAPS User ID and Password will be sent to the Email address and Mobile number provided during the registration process. Generating ID: After generation of Registration No and Password, further application processes can be done by logging into an account. A Candidate can log in by clicking on “Already Registered”, and log in with Registration no. and Password sent to the registered Email ID / Mobile. The Address for Communication Choice of CLAT 2019 Examination Cities(including PIN code). Image size: Candidates should have a Good quality front facing photograph of the candidate with clear lenses (30 mm x 45 mm) (size not more than 100 KB, JPG/JPEG format). Signature description: Signature of the candidate (maximum 80 KB in JPG/JPEG format) Scanned copy of supporting document of SAP Certificate, if applicable, or any other, in PDF format only), Scribe Declaration form in case of SAP Candidates; For details, please refer to (“supporting documents”). Redirection: From the CLAT 2019 Online Application page, the applicant will be redirected to the bank he/she choose. Net banking: He/she has to log in with the bank’s Net banking (or Internet Banking) user ID and password. Displayed: The fee amount and bank charges will be displayed before confirmation of payment for CLAT 2019. Redirected: Once it is confirmed, the candidate will be redirected back to the CLAT 2019 Online Application Interface. Acknowledgment: After receiving the acknowledgment of successful payment of the application fee through Online, the completely filled application form with the acknowledged receipt can be downloaded in PDF format. Printout: The printout of the acknowledgment form can be kept for future reference. Authority: The original certificates/documents issued by the competent authority as specified in the brochure are to be submitted to the allotted University in the form and manner as specified by the respective universities at the time of admission. Required Details: The photograph and signature of the candidate need not be attested while submitting the CLAT Online Application Form. The candidate can fill up the required details on the application form and save the same before finally submitting it. How to upload documents while filling the CLAT application form? Go to the “Document Upload” section. Click on the “Browse” button to choose the image and click on “Upload” button. Upload all the images of photograph, signature, birth certificate and other required certificates. What are the documents that should be preserved after CLAT application process? Hard copy of submitted application form. Is it required to send CLAT forms to the CLAT office? Candidates are not required to send a hard copy of the form to the CLAT office. However, it is advised to keep a hard copy for the CLAT form for future reference. How to apply for CLAT? What is the procedure for CLAT? Print the application forms along with the brochure that will be available at the designated of the Indian Bank and State Bank of India. Request for applications may be sent to the convener, CLAT along with a demand draft. 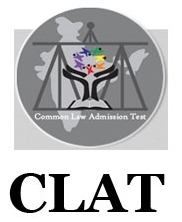 Can I apply for CLAT directly from the college? The students are required to visit the official website of the authority to apply for the CLAT examination 2017. Now click on the link “Apply Online” which the student can locate on the right-hand corner of the website. The student will then be redirected to a new tab where he can find a link “Register Yourself” to apply online. In case candidate faces any issue or needs any clarification on how to fill the application form online, he/she can simply click on “How to Apply?” link to get step-by-step instructions on how to fill the application form online. The candidate must have scanned copies of various documents such as SC/ST certificates, domicile certificates (if required), photographs and other documents and submit the required details like upload photograph, signature, birth certificate, category certificate etc accordingly.